Would you like to radically improve your chances for a successful marriage? 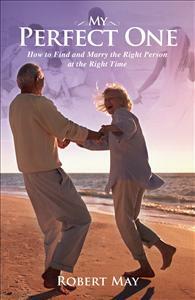 Learn the secrets that will help you find and marry the right person at the right time. Imagine the joy of being happily married for the rest of your life! In this easy-to-read, step-by-step guide, you will learn how you can drastically improve your chances for a successful marriage, and discover how you can stand at the altar on your wedding day with no regrets and no doubts. This proven method for finding and marrying the right person at the right time will open your eyes and speak straight to your heart. It will set you on a course of faith and courage, and teach you the secrets that lead to a great marriage. This was a brilliant and yet easy to read teaching about holy matrimony. Robert May has given a marvelous formula for a successful marriage. He backs everything up with scripture and his conclusions are biblical as well. Every pastor should have a copy of this book.